b. 8 Jun 1925, Massachusetts. 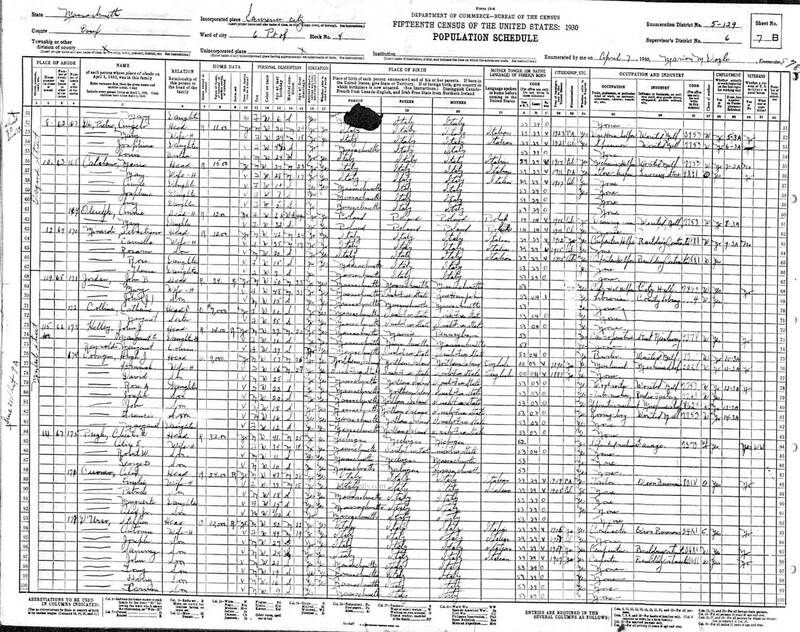 m. 12 Nov 1950, Paul L. Upson, Holy Rosary Church, Lawrence, Mass. 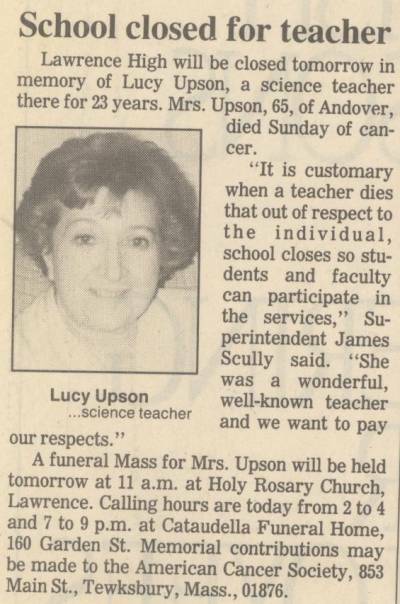 The obituary for Lucy M. Upson published in the Monday, October 15, 1990, Lawrence Eagle-Tribune noted that she had taught for 23 years at Lawrence High. From 1953 to 1977 Mrs. Upson and her husband owned Upson's Pharmacy in Shawsheen Sq., Andover. She was a 1944 graduate of Lawrence High and a graduate of Framingham State College. She was a member of Holy Rosary Parish (Lawrence) and was active at Saint Pius Parish in West Dennis (Cape Cod). Another item published a couple of days later noted the plan for Lawrence High to close for the day of her funeral. Mr. and Mrs. Mario Catalano, 144 Garden Street, announce the engagement of their daughter Lucy to Paul Upson of New Bergen, N.Y. Miss Catalano is a graduate of Framingham State Teachers College and the Albany, New York, hospital where she studied dietetics. She is currently employed as a teaching dietician at the Beverly hospital. Her finance is a graduate of the Union University College of Pharmacy in Albany and is a veteran of four years service during World War II. He is a pharmacist in Peabody. The wedding is scheduled for November 12 at a 12 o'clock Mass in Holy Rosary church. The bride-elect was entertained at a prenuptial party at her home at which she was presented with many gifts. Lucy Catalano, aged 5, born in Massachusetts. This record last updated 24 March 2008 by D. Trumbull.